It’s a lovely frosty morning at Castleton and first lot at Middleham will be on their way to the gallops. We have two runners today at Wetherby, both with each way chances although it looks particularly competitive. Oscar O’scar ran well there for 3rd on his latest start, and Forgiving Glance was also placed on his bumper debut, it would be good to see them both build on this. 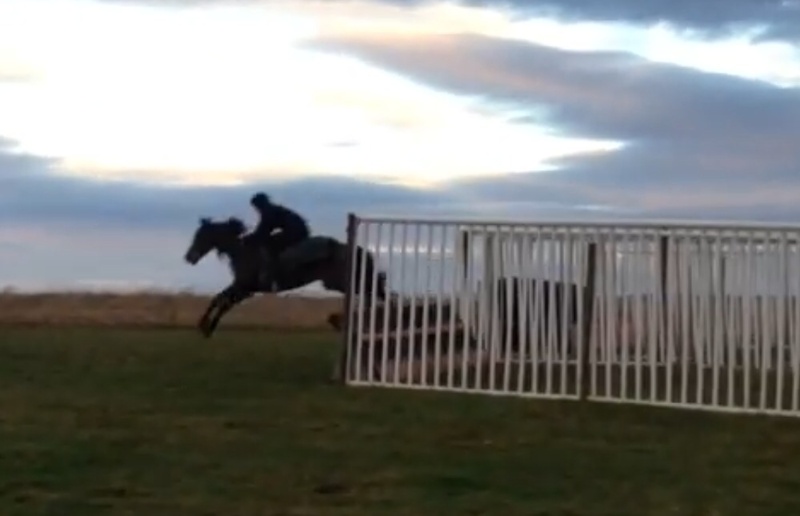 Pictured above is Transient Bay who is entered for his second start over hurdles at Hexham on Wednesday. He may be joined by exciting novice, Aniknam who is entered in the same race. There was plenty of schooling going on yesterday, I will be uploading a video later. This is Musikhani who runs at Uttoxeter on Tuesday.